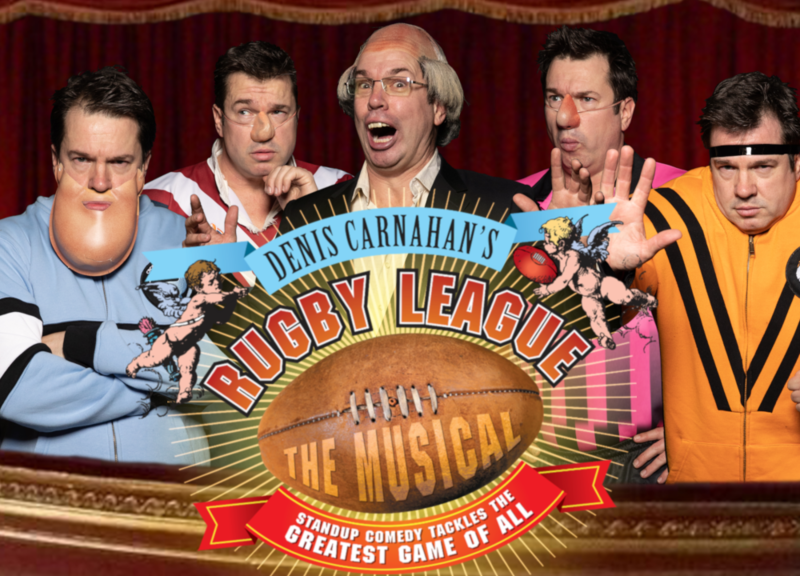 Rugby League The Musical is back on the road for 2019! After the triumphant 2018 season, Australia’s hardest working sports satirist – Denis Carnahan – is back, bigger than ever, trying to cope with the mountain of material Rugby League has thrown at him during the “offest” off season in years. Rugby League The Musical is a high energy and hilarious one man show. A brilliant blend of sketch comedy, stand up comedy and musical satire, that takes aim at The Greatest Game Of All and its many colourful characters and controversies. Denis came to prominence through his viral State Of Origin song “That’s In Queensland”. Over the years, he’s written dozens of other songs for ABC Grandstand, FBi’s Fire-Up!, Triple M’s Grill Team, Fox Sports, The Matty Johns Show, and The Footy Show.